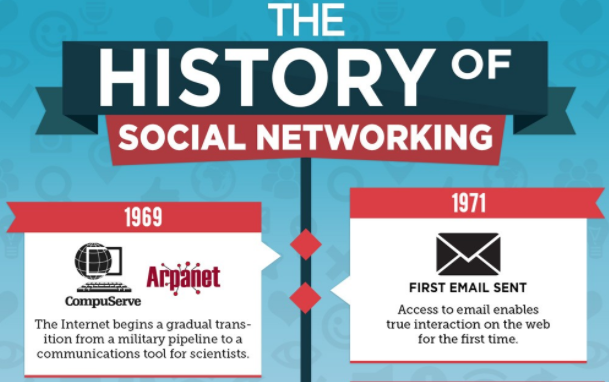 When was Social Media started? Any idea? Orkut? Facebook? Oooops!! Okay! Here is a nice infographic. It started with CompuServe and Arpanet back in 1969. A couple years later, the first-ever email was sent. Imagine a time when we didn't have email and you had to actually chat with people on the phone in person? It was a crazy time, to be sure. But never fear, social media has evolved over the past few decades into a time-sucking but powerful tool for teachers, students, and everyone else. As you can see by this social media history timeline, there’s a lot that’s happened over the past decades. We can only guess what’s coming next.